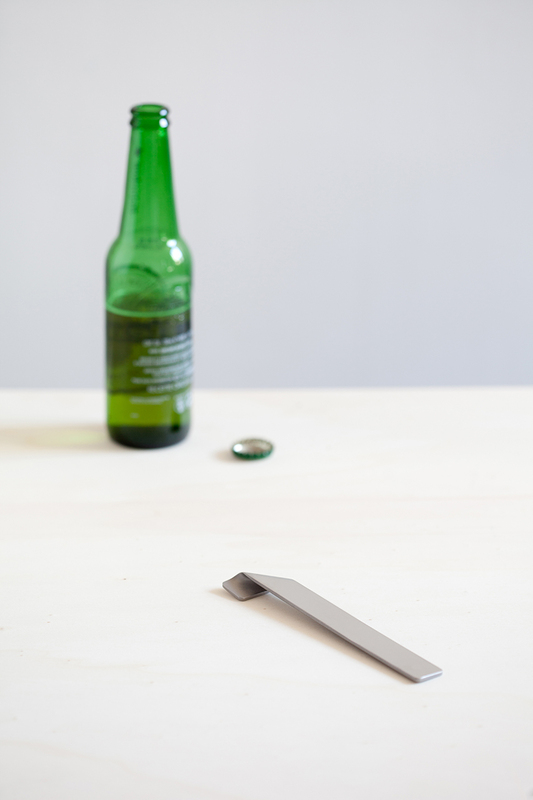 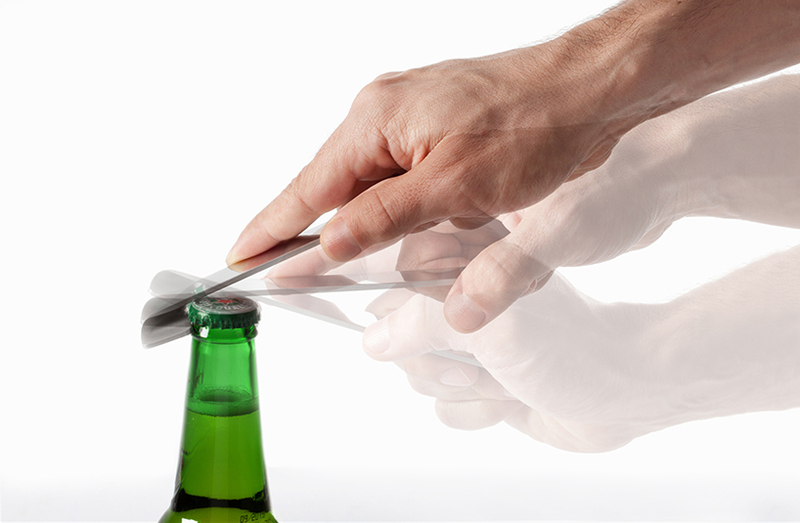 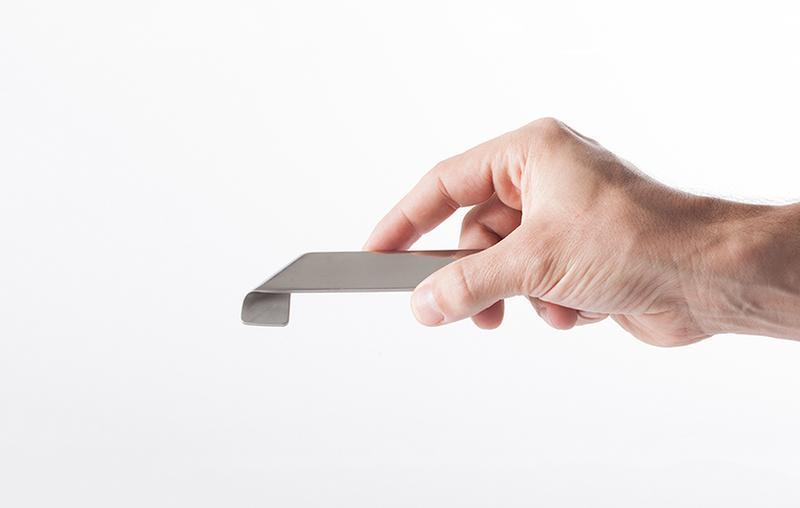 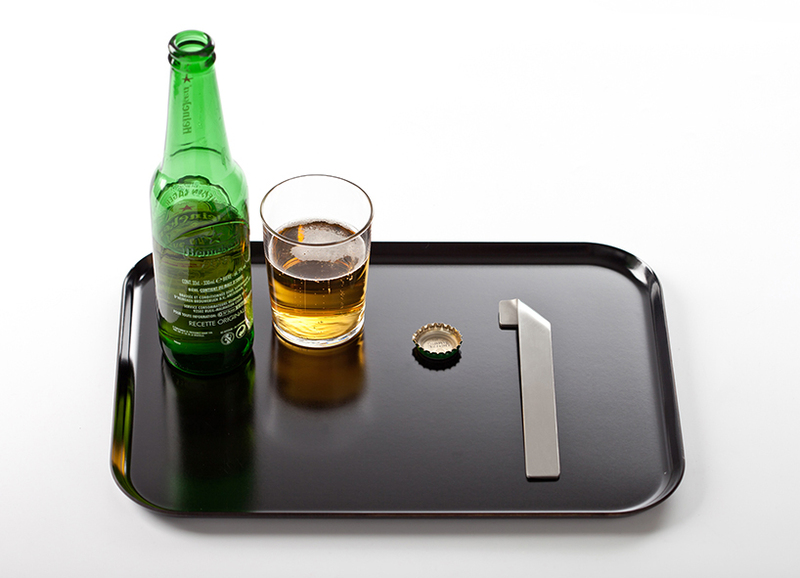 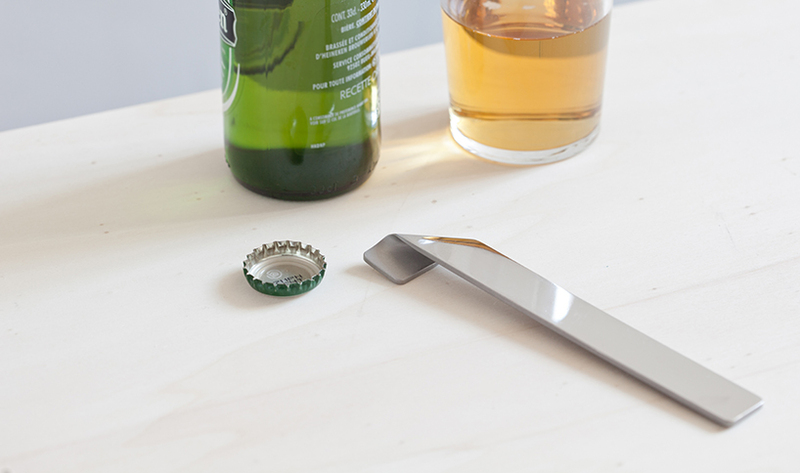 The bottle opener RUBAN is made out of a bent stainless steel strip. 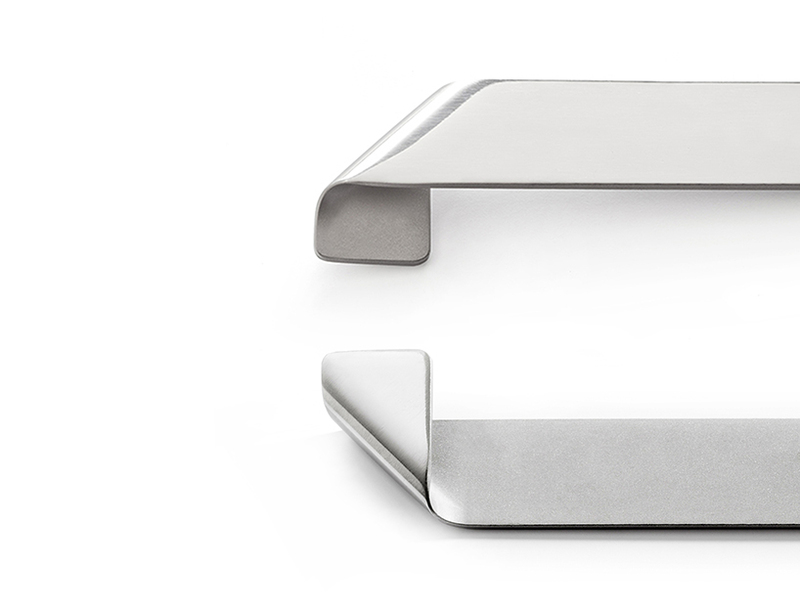 The geometry of the design offers both aesthetic functionality and comfort when used. 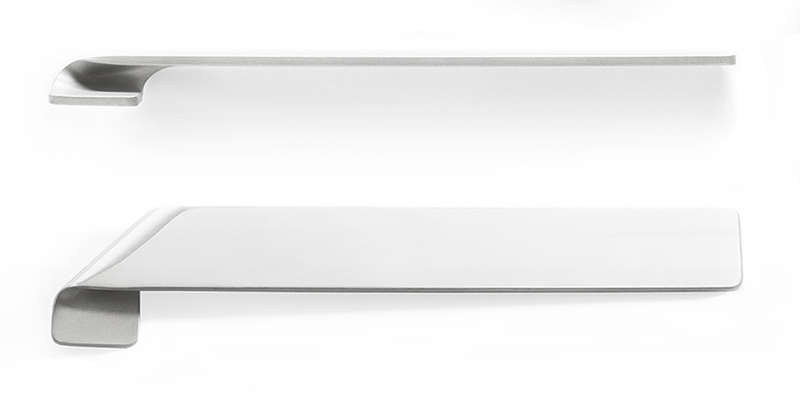 Polished on the upside and sandblasted on the underside to bring a warmer touch and a visual contrast, RUBAN is designed to last and will develop patina over time.